Description: Groundhogs, also known as woodchucks, are short and stocky, but often stand on their hind legs, making them appear taller. Their colour varies from grey to dark brown with light guard hairs giving them a grizzled appearance. 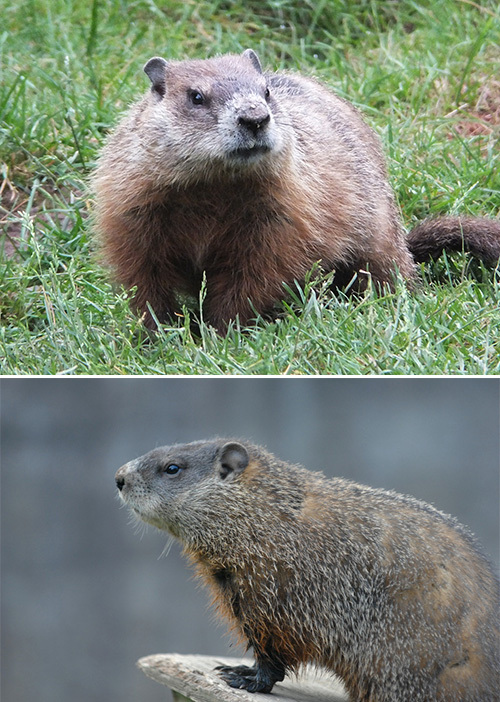 Woodchucks can weigh 3-4 kg (6.6 to 8.8 lbs) and reach lengths of 42- 68 cm (16.5 to 26.8 inches). 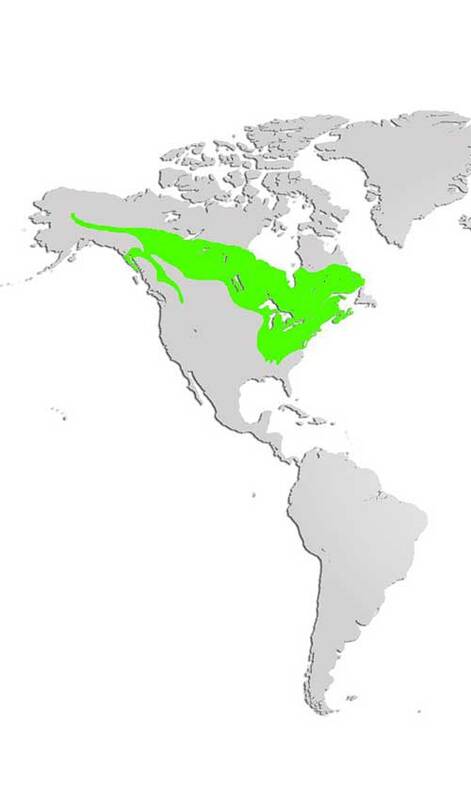 Distribution and Habitat: Groundhogs are found in the eastern United States and throughout Canada. A familiar sight in fields, fence rows and rock piles, groundhogs can often be seen sitting at the edge of their burrow. Diet: Herbivores, groundhogs primarily eat green vegetation plus some berries, nuts, tubers and the occasional insect. When they emerge from hibernation, groundhogs must rely on the bark and twigs from trees and shrubs, as grasses are not normally available so early in the spring. Life Cycle: One of only two true hibernators in Nova Scotia (little brown bats are the other), groundhogs prepare for hibernation by accumulating a large amount of body fat. In late September, groundhogs will close themselves up in a sleeping chamber in their underground burrow and not appear again until spring. Over a period of several days, the groundhog’s body temperature drops with the ambient temperature of the burrow, dropping to about 3 degrees Celsius (37 degrees Fahrenheit). The heart rate drops from about 80 beats per minute to around 5. Metabolism is maintained by burning stored body fat at a slow rate, allowing the groundhog to emerge in the very early spring still sporting a healthy layer of body fat, necessary to sustain them until the grass has grown. Groundhogs mate after emerging from hibernation and the young are typically born in May, in litters of 1 – 8, blind, hairless and helpless. Young groundhogs remain in the burrow for up to 6 weeks before venturing out to forage with their mother, growing quickly and rapidly accumulating body fat. Adaptations: Besides their hibernating skill, groundhogs have excellent digging ability, using their short, muscular forelegs and strong, curved claws to dig underground burrows that have sleeping/nesting/nursery areas and several peep-holes and escape tunnels for the groundhog to remain aware of its surroundings while underground. Groundhogs can also be seen sunning themselves on fallen logs or flat rocks on warm summer days. Did you know? “Shubenacadie Sam” lives at the park and he is the first woodchuck in North America to make a prediction every Groundhog Day. Join us for the celebration!